We start with the finest hand selected turkeys, add our special seasonings, then slowly smoke them to golden perfection. 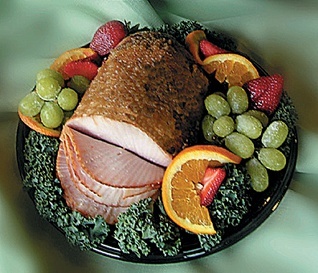 . . specially wrapping each turkey to seal in the unique and delicious flavor. 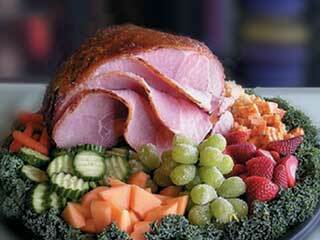 These huge and tender breasts are fire glazed with our honey and spice recipe just like our Honey Kissed Ham. A great choice for ease of serving and leftovers as good as the main course! 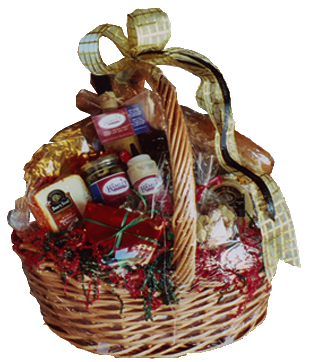 The Hamlet has been offering gourmet gift baskets for years. You can choose a wide variety of specially selected items: from jams and jellies, special mustards, oils, salad dressings, exciting salsas and barbecue sauces to our famous "Roasted Raspberry Chipotle Sauce" and more.